If you’ve ever sat down and read an article on SEO, you’ve probably come across the terms sitemap and/or XML sitemap. 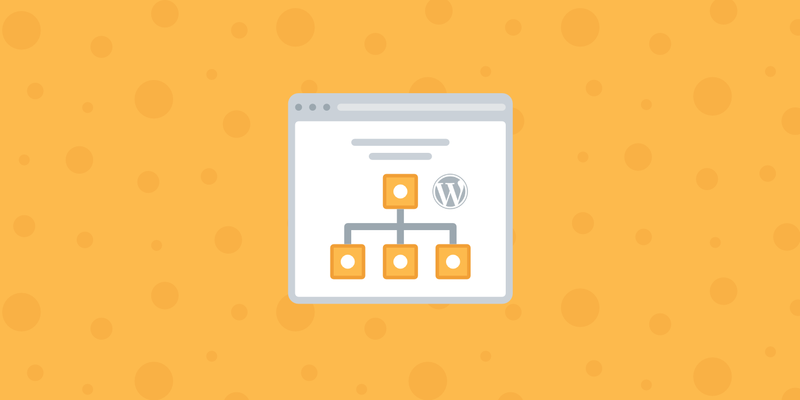 But while sitemaps are a fairly common SEO recommendation, there aren’t a ton of deep looks at how XML sitemaps specifically work with WordPress. An XML sitemap is basically just a list of URLs that you want to be publicly available. Like robots.txt, it helps search engines like Google and others better crawl your website by giving them a “map” of all your content. That’s it! As you can see…it really is just a list of URLs with some extra metadata. It’s not especially helpful to humans! Is There a Limit to How Many URLs You Can Include in an XML Sitemap? Yes, there is a limit. But most WordPress websites will never sniff the limit. Technically, sitemap.xml files have a limit of 50,000 URLs. But even if your site includes more than 50,000 URLs, you can include a “sitemap of your sitemaps” to increase that number. That is, you can include one master sitemap that links to more specific sitemaps (each with its own separate 50,000 URL limit). Faster crawl times – Sitemaps can help search engine robots crawl your content faster than they would without a sitemap. This can also lead to your content getting indexed faster. Prioritized crawls – Sitemaps let you ask Google to prioritize crawling certain pages on your site by adding metadata. 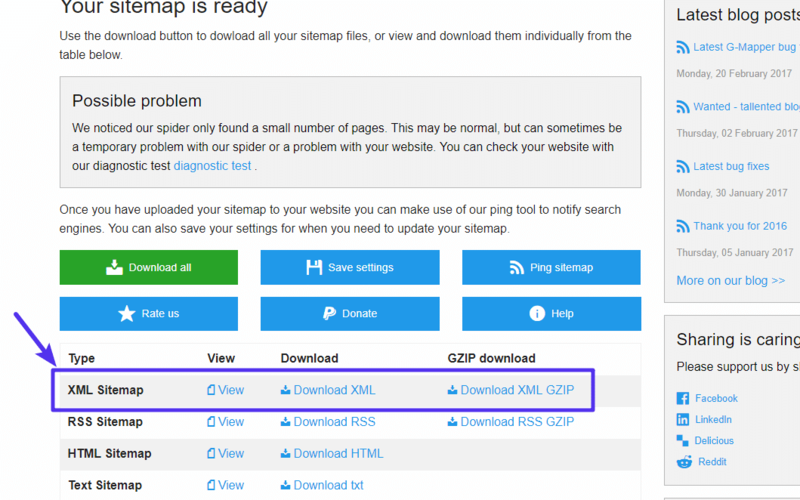 Can Adding an XML Sitemap Hurt Your Site? Nope! Don’t worry. The worst case scenario is that you don’t see any positive results. Creating an XML sitemap will never hurt your site. While a sitemap is beneficial, here’s what it’s not: It’s not a replacement for creating a solid internal link structure. That is, don’t assume that search engines will index your content simply because you included it in your sitemap. They might, but they also might not. So, while you should absolutely use a sitemap, you shouldn’t solely rely on a sitemap to get your content indexed. 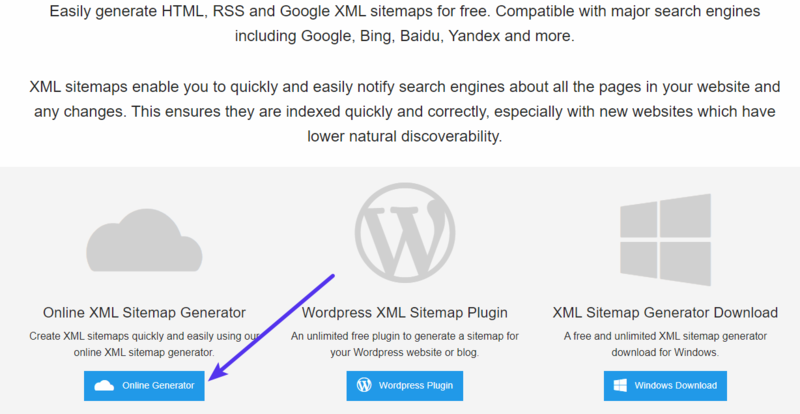 Now that you know what an XML sitemap is and how it can benefit your site, how can you actually create a WordPress sitemap for all your content? The easiest way is using Yoast SEO, which is our recommended plugin. Manually exclude individual pieces of content from your sitemap via their Post ID – this is especially helpful if you’ve added a noindex tag to certain pieces of content. 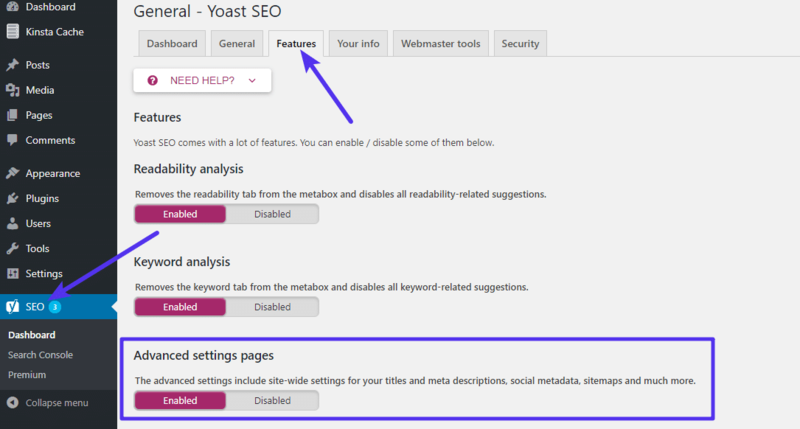 While Yoast SEO is our recommended tool to help you create an XML sitemap for WordPress, it’s by no means your only option. All in One SEO Pack – you just need to activate XML Sitemaps in the All in One SEO Feature Manager. 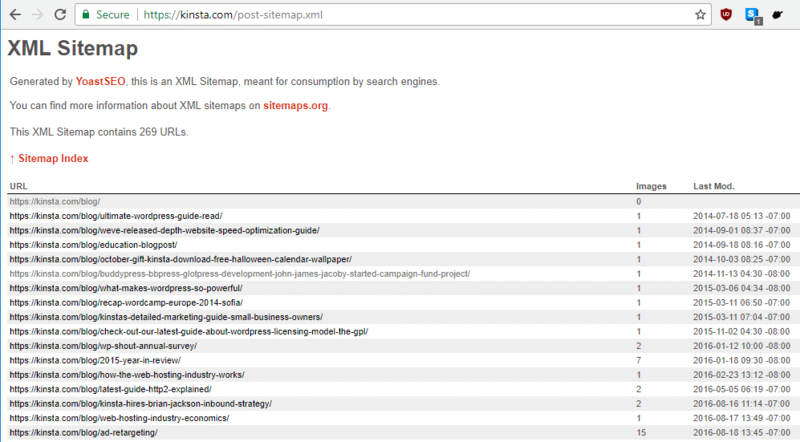 Google XML Sitemaps – a popular plugin dedicated specifically to XML sitemaps, rather than SEO in general. The SEO Framework – an up-and-coming SEO plugin that includes XML sitemap functionality. 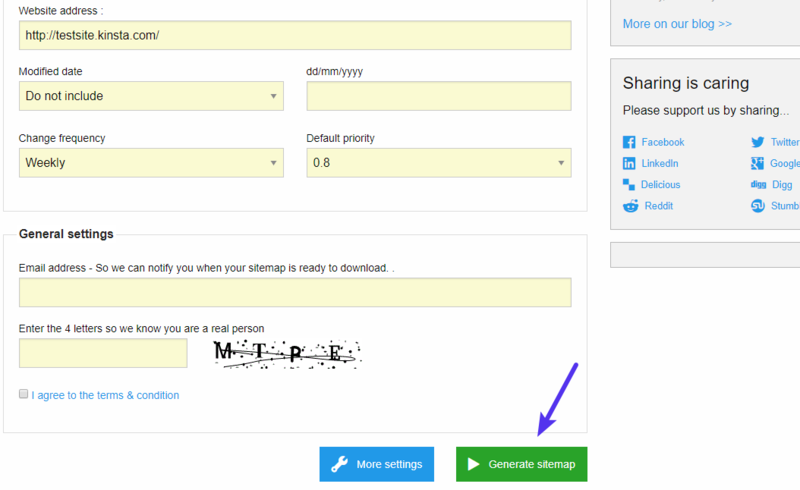 Once you download the sitemap file, you’ll need to upload it to the root folder of your website. 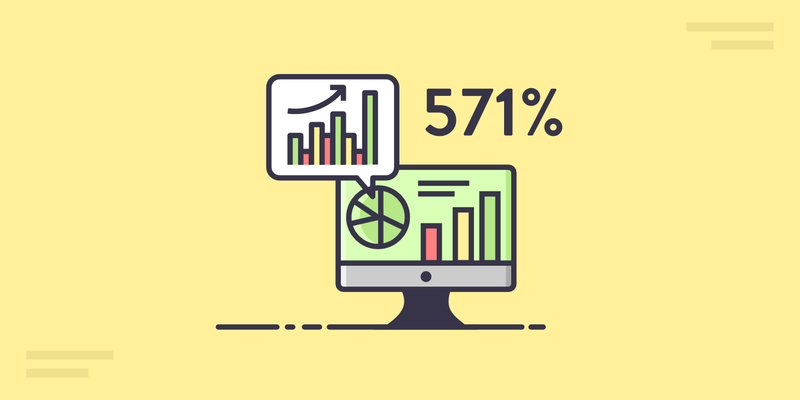 Once Google processes your sitemap, you’ll be able to view statistics in that same area. This includes helpful information about errors (such as 404 errors) that might be occurring on your site, such as in the example below. While Google is king, Bing still does exist. So for more coverage, you might also want to submit your sitemap to Bing. Here’s Bing’s guide on how to do that. The process is pretty similar to Google – you’ll need to sign up for a Bing Webmaster Tools account. 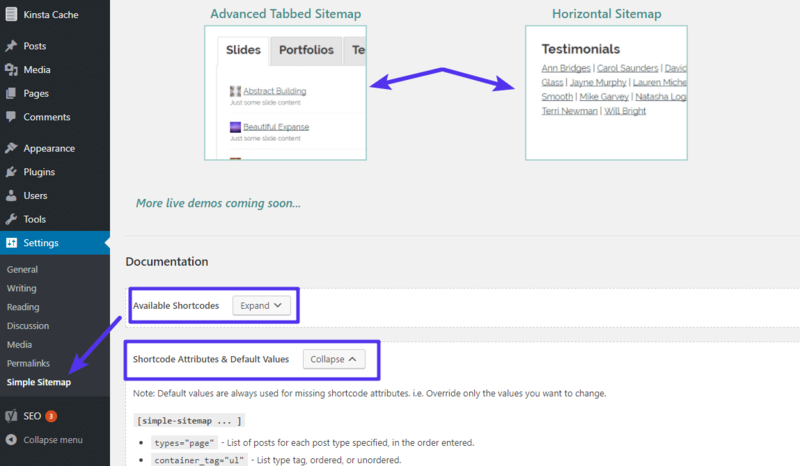 Then, you can submit your sitemap right from your dashboard. For all of this post, we’ve focused specifically on XML sitemaps. But that’s not the only kind of sitemap you might want to add to your WordPress site. HTML sitemaps are a more human-facing version of a sitemap. 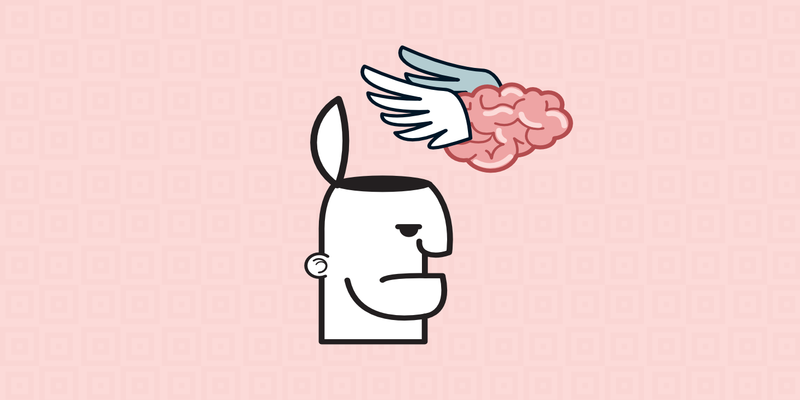 You’ve probably seen them before – they’re basically a bulleted list of links that help humans easily navigate around your site. The plugin also includes pre-made templates to help you quickly create common types of sitemaps. Once you set your options, you can display your sitemap anywhere on your site with a simple shortcode. An XML sitemap is one of those things that every single WordPress site needs. While it’s not going to rocket your site straight to the top of the SERPs, it is a great way to get your site crawled faster and more thoroughly. 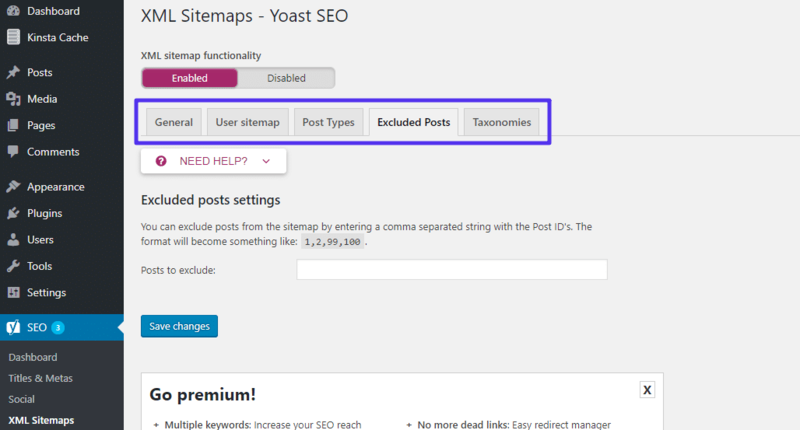 The easiest way to create an XML sitemap on WordPress is via the Yoast SEO plugin, but you can also find plenty of other plugins to help you do it. And once you create your sitemap, you should submit it to Google Search Console to gain valuable insights about how Google indexes your site. We hope you enjoyed our guide and please leave a comment if you have any further questions about working with WordPress and sitemaps. Great SEO help in this guide! 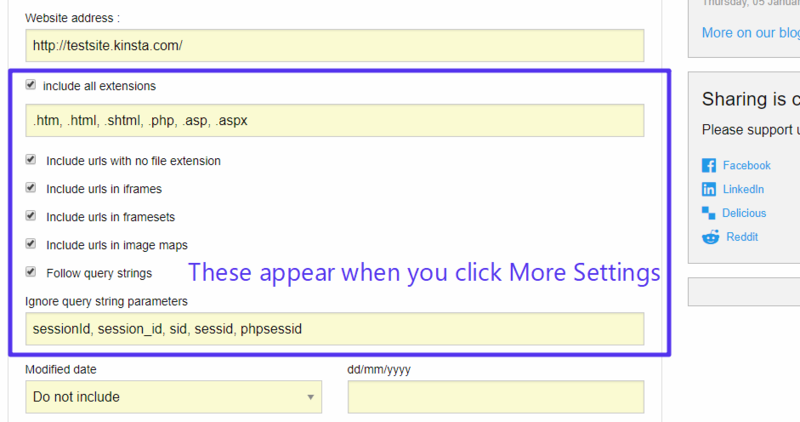 this is great, now my blog can have a sitemap. good info but please mention at the beginning that the use of Yost SEO tools and Google Console sitemap submission require upgrading from Premium WP to Business WP which is twice the price. Is it worth it? to get the features you speak of here. Hey Richard, the free version of Yoast SEO creates a sitemap of your WordPress site and you can submit it to Google Search Console. No need to upgrade. The main issue with the Yoast XML sitemaps plugin is performance at scale. It doesn’t scale well at all. They have made some moves to optimise things, but still 5 minutes to generate a sitemap on a 1 million product store is unacceptable. 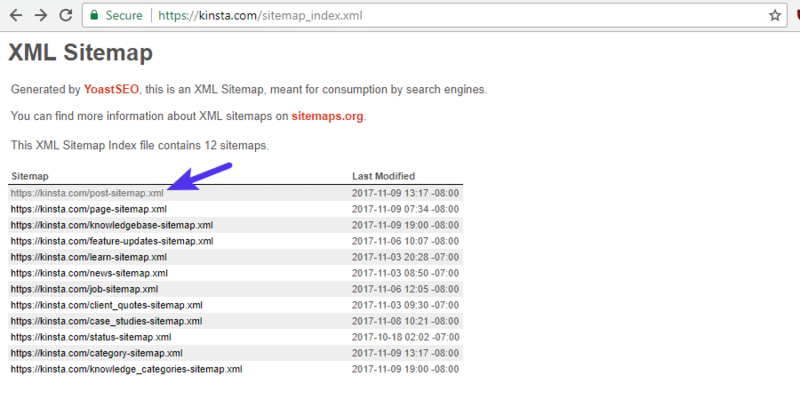 I optimised it a bit, as well as 2 other sitemap plugins and did a thorough performance review and analysis – BWP Google XML Sitemaps comes out the best.